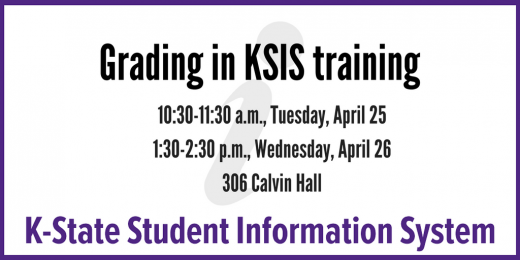 KSIS Master Extract training scheduled for March 29th is rescheduled for 10:30 a.m. – 11:30 a.m., March 30 in 306 Calvin Hall. 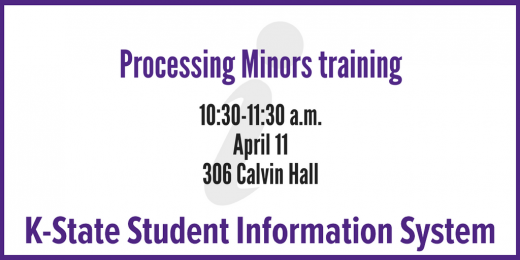 This session is designed to introduce employees to processes and interpretation of data in the Master Extract report. Employees must have the Master Extract role approved BEFORE attending the training. 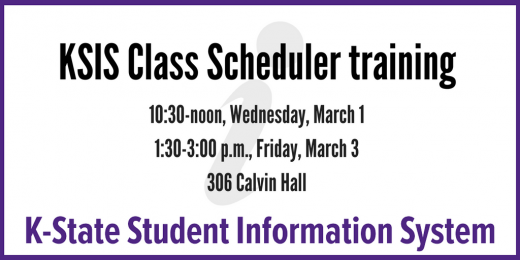 All sessions take place in 9 Fairchild Hall. 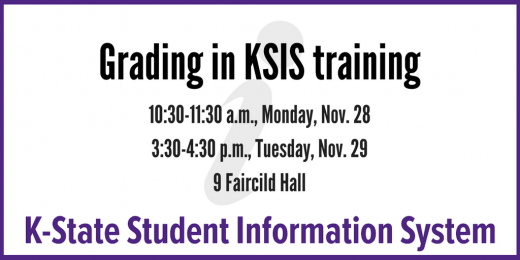 Mon, Nov. 28, 10:30-11:30 a.m.
Tues, Nov. 29, 3:30-4:30 p.m.